Pete Buttigieg, the mayor of South Bend, Indiana, has taken the nation by storm since he threw his hat in the ring for a potential 2020 run. Now he's earning even more press for some pointed comments he's made about Vice President Mike Pence. It's well known that the ultra-conservative Pence, the former governor of Indiana, has come under fire for his ties to such groups as the socially conservative Family Research Council, which denounce homosexuality and bemoan what they characterize as "attacks" on "traditional" marriage. Pence has also faced heated criticism for his views on transgender rights and conversion therapy. 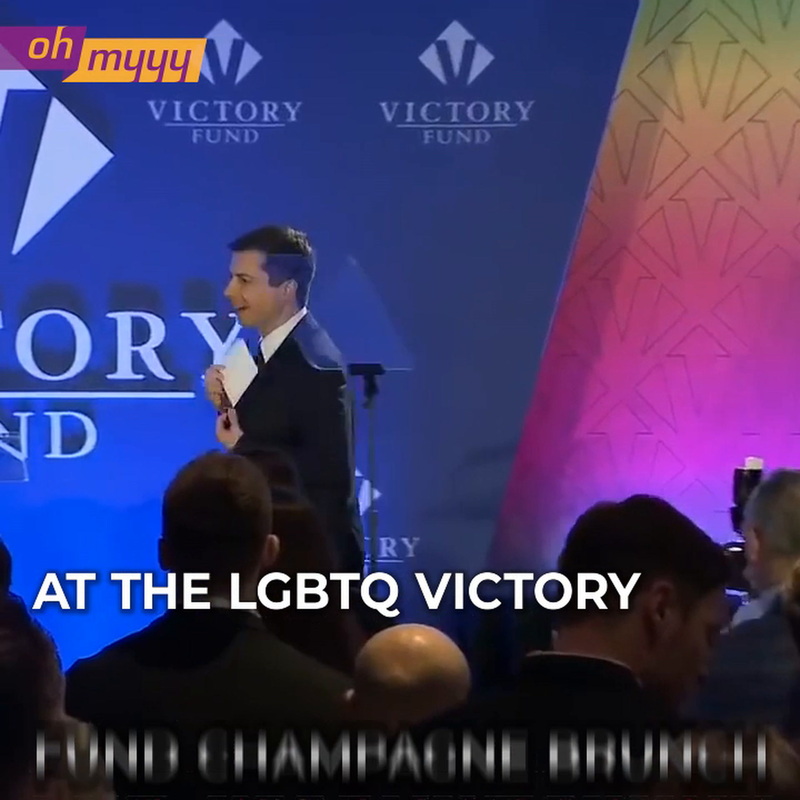 But Buttigieg, during a speech at the LGBTQ Victory Fund's annual brunch in Washington, says his marriage to teacher Chasten Glezman, has made him "a better human being." "It has made me more compassionate, more understanding, more self-aware, more decent. My marriage to Chasten has made me a better man. And yes, Mr. Vice President, it has moved me closer to God." "One of the best things about these last couple months," Butttigieg said, "is watching America meet him, too, and start to fall for Chasten just like I did." Buttigieg recalled that there was a time in his life when he wished he could have taken "a pill to make me straight," but those feelings are long past him. "Speaking only for myself, I can tell you that if me being gay was a choice, it was a choice that was made far, far above my pay grade. And that's the thing I wish the Mike Pences of the world would understand, that if you've got a problem with who I am, your problem is not with me. Your quarrel, sir, is with my creator." In a time when the Trump administration has placed LGBTQ rights at risk, Buttigieg's comments have received significant praise. Buttigieg also took the opportunity to criticize President Donald Trump's attempts to ban transgender troops from serving in the military in any capacity. "The struggle is not over when transgender troops, ready to put their lives on the line for this country, have their careers threatened with ruin one tweet at a time by a commander in chief who himself pretended to be disabled to get out of serving when it was his turn." The sort of leadership we need? Perhaps.